A month ago, I headed out to Joshua Tree with the editor and creative director of Knit Wit, the new biannual print-only magazine about fiber arts, textiles, and the people who put it all together. 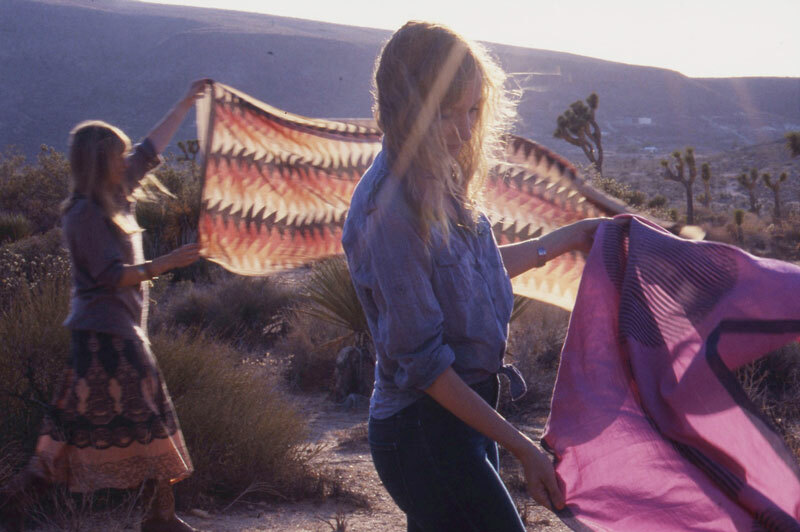 We rolled into the High Desert around golden hour to explore world of Lily and Hopie Stockman, founders of Block Shop Textiles. 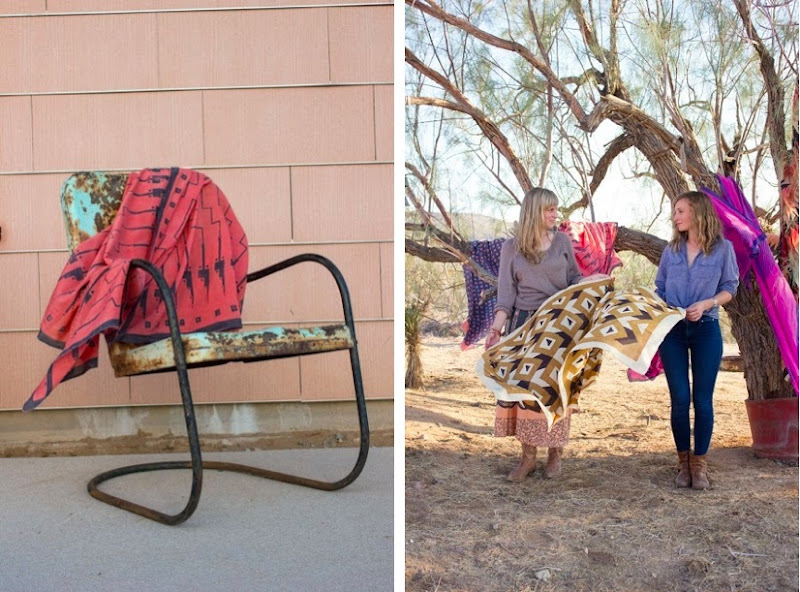 The sisters Stockman, who have recently relocated to L.A. from Boston, are two impossibly cool human beings that are creating traditionally-made Indian scarves (and bedding coming soon!) in smart, ethical, thoughtful, ecologically sensitive, community-driven, and lest we forget, stylish ways—it's almost unnerving how wonderful these two sisters are. Here are a few sneak peak photos of that story, which will be in the inaugural issue of Knit Wit, dropping this November. The magazine is otherwise packed with visuals and text by some truly talented photographers (including Marissa Macias who shot this piece), designers, tastemakers, and writers. 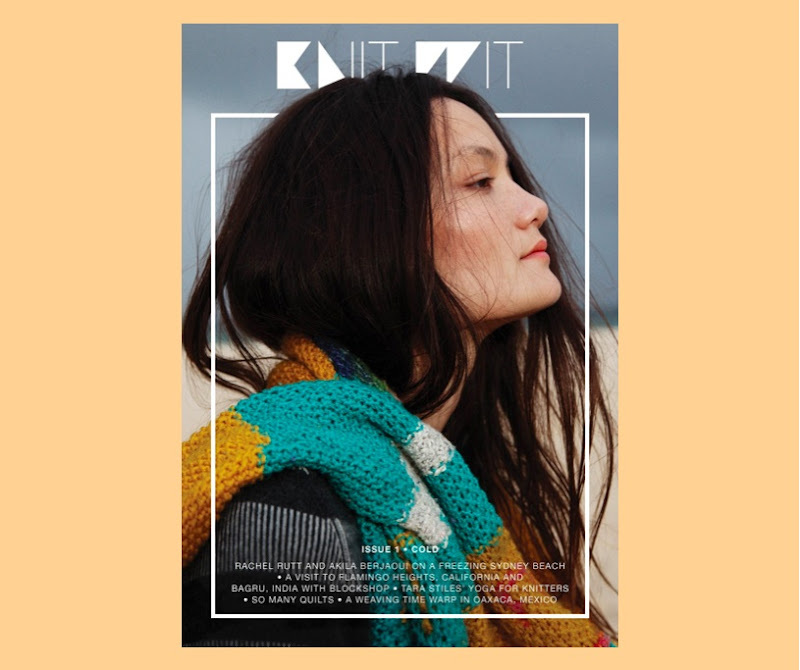 Snag a maiden copy for yourself by supporting the Knit Wit Kickstarter. This magazine is one to keep. I love that they're print-only. Kickstarting! I love, love, love these ladies and their block-print scarves! <3 Fun to see their faces on one of my fave blogs!! It's so nice to see a print only magazine in this day and age! Scrolling through online magazines just isn't the same as buying a crisp fresh magazine which you can pull out and stick all over your walls. Id love to do something like Lily and Hopie,cant wait to read their story!